This comment refers to the article available online at https://doi.org/10.1007/s00540-018-2601-x. We read with great interest the study by Ichino et al. , which elegantly reported the feasibility of transcranial motor-evoked potential (MEP) monitoring of vagus nerve during thyroid surgery. We would like to discuss the neuromuscular blockade (NMB) during the MEP monitoring. 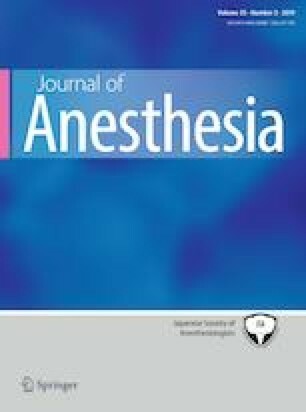 The authors reported that no additional muscle relaxant was administered after reversal with sugammadex following tracheal intubation. However, sugammadex increases medical cost and no NMB throughout the surgery could cause frequent patient movement and complications such as bite injury of lip, oral mucosa or tongue. A recent study reported a 6.5% incidence of bite injury when no NMB was used after reversal with sugammadex . A previous study comparing three different levels of partial NMB with no NMB reported that there was no difference in the MEP amplitude between partial NMB and no NMB if careful maintenance of partial NMB target is achieved . We suggest the possibility of partial NBM for MEP monitoring to prevent these complications.